Prepare your best-loved dishes and condiments (zucchini, vongole, broccoli or what else?) and taste them with these spaghetti, produced selecting excellent genuine ingredients. Compose your culinary masterpiece, “summa” of the Tuscan traditional food. We love spaghetti, we love pasta! Ready for a dinner with a plate of spaghetti all'aglione? Or, in the middle of summer, how about preparing spaghetti with shrimps? 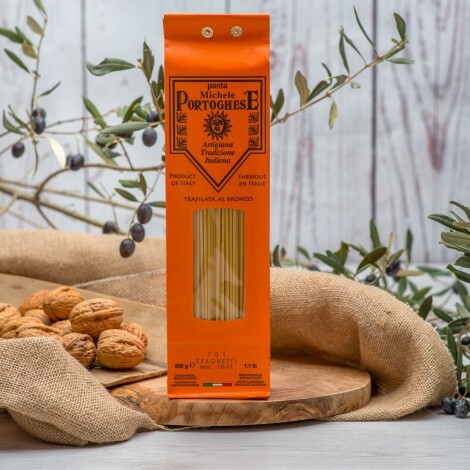 You will find our authentic Tuscan spaghetti with other original products inside the Starred box, the casket of the gourmet Tuscan specialties. The spaghetti are also in the Old Florence box, but you can also choose to buy them separately, composing your own box of vegetables and food. 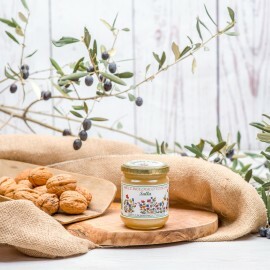 Browse the pages of our website, ”Il Giulio” and experience the most exciting food shopping journey!